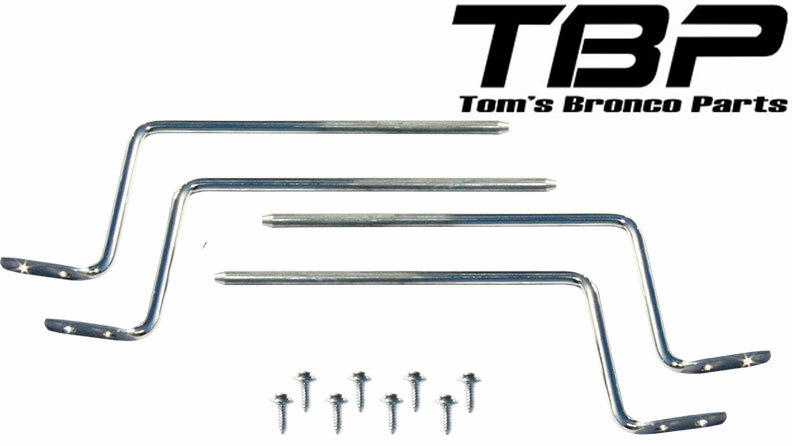 This is a set of Visors Rods for 66-68 Classic Ford Broncos with Vacuum Wipers. They are Polished Stainless Steel. This set is enough rods for both visors. Comes with mounting screws.